is a private university – and is also known as an Ivy League university of which it is the smallest school. Iy is located in the Upper Valley region near Hanover, New Hampshire, United States. Dartmouth is dedicated to creating a community of individuals with diverse perspectives, backgrounds, and experiences. To this end, Dartmouth enrolls students from over 70 different countries throughout the world. As a result of the impressive accomplishments of students in our international applicant pool, admission is highly competitive. Many qualified students are denied admission. In evaluating the records of international applicants, the Admissions Committee seeks to admit those students whose scholastic and personal records suggest that they can successfully complete the academic work of the College and add significantly to the quality of campus life. Evidence of intellectual capacity, motivation, and personal integrity are of great importance in the selection process. Primary emphasis is placed on school transcript(s), personal statements, and recommendations from your teachers and advisers. The Admissions Committee also looks for evidence of such qualities as creativity, tenacity, intellectual curiosity, and independent thinking. Your school record, extracurricular interests, and work experience also are considered. Personal qualities such as leadership, energy, enthusiasm, motivation, and a sense of responsibility are important in the decision making process. 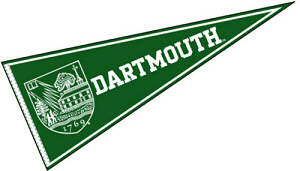 Dartmouth College is need-blind for all applicants. Financial need is not considered as part of the admissions review for any applicant. Dartmouth provides financial aid to all admitted students who demonstrate financial need and will meet 100% of that demonstrated need. Beginning with the Class of 2012, the College is need-blind for all applicants, regardless of an applicant’s country of residence or citizenship. International students currently attending a college or university may apply for transfer admission. If you are an international student who has finished an undergraduate degree, you may not apply to our undergraduate programs, but are welcome to apply to our graduate programs. Feel free to call Admissions at 603-646-2875 or you can email us at Admissions.International@dartmouth.edu. Dorothy and Robert King ’57 have partnered with Dartmouth to help address the problem of global poverty by establishing a scholarship program for exceptional students from developing nations. They have made a gift of $14.7 million that will fund a total of 12 King Scholars each year. The scholars will be encouraged to use their Dartmouth educations to return to their home countries after graduation to work toward the alleviation of extreme poverty. The gift also establishes an admissions recruitment fund to identify and bring eligible students to Dartmouth from developing countries in Africa, Latin America, and Southeast Asia.